In the 25-Year Environment Plan published in January, the government announced its target of prohibiting the sale of new petrol and diesel vehicles by 2040. But even with that deadline still over 20 years away, the electric vehicle (EV) market in Britain is already showing remarkable growth. At the last count, there were 166,000 EVs registered in the UK – up from a mere 3,500 in 2013.
can they be charged? How long does it take? And what sort of costs are involved? An improved understanding of these kinds of issues can make prospective EV owners better equipped to decide whether switching to electric makes sense for them. Where to charge an electric car? There are two main options when it comes to charging your EV – at home or on the road. Those charging from home can either connect the vehicle to a standard three-point outlet inside the house via an electric vehicle supply equipment (EVSE) cable, or have a home charging point installed in their garage, driveway or other area where the car will be parked. The beauty of charging from home is that you can leave the vehicle to reboot overnight, just like you might with your phone. If drivers are in need of some extra juice on the road, there are now over 17,000 charging points at almost 6,000 locations across the country. The majority of these offer a much faster charge than home units and are usually located in towns, cities and other urban areas, although an increasing number of charge points can now be found on motorways as well. A full list of nationwide charge points is listed here. How long to charge an electric car? The time it takes to charge an EV depends on the car itself, its size and the capacity of the battery, as well as the charge point involved. Plug-in Hybrid (PHEV) cars and Extended Range (E-REV) cars both have conventional engines to provide backup power when needed, so have smaller batteries and require less charging time. 100% electric cars, such as Teslas or the Nissan Leaf, have larger batteries and greater range (most models sit somewhere between 100-300 miles), but require more charging time to achieve full capacity. For example, the latest Nissan Leaf has a 40kWh battery and a range of 168 miles, meaning that each kWh delivers about 4 miles of range. Using a 50kW (rapid) charger would take around an hour for a full charge – although batteries are not charged from zero, just as drivers don’t wait until they run out of petrol to fill up. Likewise, a 7kW home charger would take 6 to 7 hours to fully charge, which is ideal if you can charge overnight. Also keep in mind that battery charging is not linear, so the last 20% will fill up at a significantly slower rate than the first 80%. As for charging points, there are three main kinds available to the mainstream EV market. Slow chargers (such as the standard mains voltage found in homes around the country) are capable of 3kW per hour, meaning a small pure EV can be charged in six to 12 hours. PHEVs and E-REVs should take around half that time. Fast chargers (such as those in home charging points) have a capacity of between 7kW and 22kW, which typically charge 100% EVs in three or four hours. Rapid chargers (which comprise the majority of public charging points) are capable of giving many pure EVs an 80% charge in 30 minutes to an hour with their 43kW-50kW capacity. 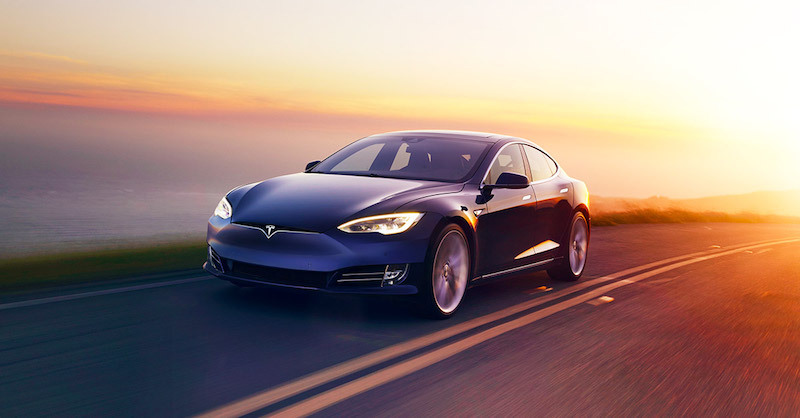 Some higher capacity super- and mega-chargers are also in use (most commonly by Tesla) or under development, with a view to bringing down charging times to as little as 10 minutes for some EVs –which would put those models on a par with petrol cars for practical purposes. Those charging at home can take advantage of an Economy 7 electricity tariff to leverage cheap overnight charging, which could cost them as little as 10p per kWh, working out to less than a pound for a full tank for most pure EVs. Even the most expensive tariffs are unlikely to exceed £3.40 for a full charge. As for installation of a home charging point, the government offers a grant which will cover 75% of the cost of installation (with a maximum value of £500) to encourage an uptake in new EV drivers. Charging away from home is more expensive but can still be affordable. There are several different providers, including Chargemaster, Ecotricity and Polar, all of which generally offer either membership plans (where you pay a fixed amount per month for unlimited use) or pay-as-you-go plans (where you pay for kW or time spent charging). Some stations, such as those owned by Zero Carbon World, don’t charge at all. Furthermore, there are other perks to be had, such as exemption from London’s Congestion Charge and from paying at many Pay & Display spots around the country. Still not ready to make the leap to your own EV? Whether you can’t yet afford the hefty up-front costs associated with electric cars or you simply prefer not to own your own vehicle at all, there are eco-friendly alternatives available. Of course, walking, cycling or using public transport are ideal methods of getting around, but if time is of the essence, Green Tomato Cars are on hand to help. With the largest fleet of low- and zero-carbon private hire cars in the UK, we can get you from A to B without costing the earth. What’s more, we pay to double offset those emissions we’re not able to avoid, resulting in a carbon footprint that’s actually negative. To find out more about us or to book your next journey with one of our eco-friendly vehicles, get in touch with us today.